OnLive has a good idea: stream games over the internet rather than make you buy a Crysis-capable PC/Mac. 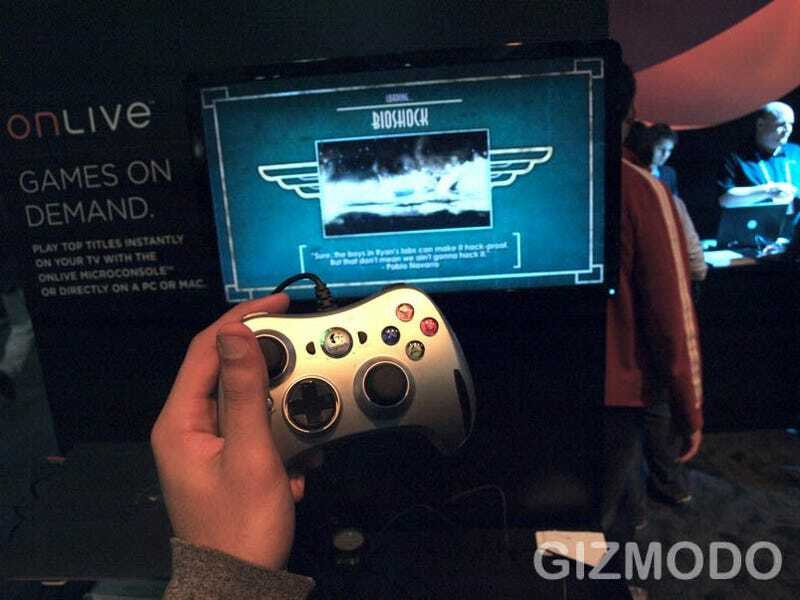 And when we checked out OnLive streaming Bioshock a few months back, we were impressed. Now you can check it out, too. Testable in an invite-only beta, you can register to potentially try OnLive here. And even if your internet connection isn't top-notch, it may be worth a shot anyway. OnLive is clearly trying to tune their service to all service speeds, as they'll want to know your connection type, speed and ISP.